Do you miss My Wardrobe, I certainly do, I purchased quite a few iconic buys from there including my Burberry mac. 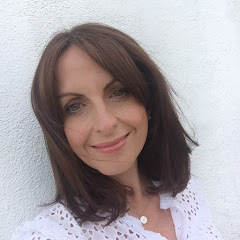 However, fret no more ..... Sarah Curran, founder and previous owner of My-wardrobe, earlier this year launched a new shopping site called Very Exclusive. Bridging the gap between high street and super high end, Very Exclusive is your go-to website for affordable luxury, whether it be, clothes, accessories or beauty. Not only do they stock labels including brands I really like, IRO, J Brand, Elizabeth & James there is free delivery and returns! Their 50% sale is fully live (here) and there are some amazing buys. Very Exclusive were very kind and let me pick two of my favourite items from their sale to style. What did I pick? Firstly, I picked an Equipment shirt, Laura from WIT calls them the Ferrari of shirts and this is what she says about them . 'Another essential to ease you into autumn is the forever chicness of a silk shirt, and when you are talking silk shirts there is only one place to go to: Equipment. I don’t quite know what it is about the Equipment fit, but it looks great on virtually anyone, of any age or size. If you are investing for the first time I would go with a classic black or white with contrasting piping. In fall, wear tucked in your high waist jeans or hang loose over leather leggings. In winter layer under a boyish cashmere V neck sweater or a fur gilet. It’s a pricey buy, but cost per wear it’s a great investment." To be honest, I was a little nervous about the pockets (with my large bust), but the way the beautiful silk falls and the flatness of the pockets it seems to work and it also gained a compliment off Hubby. 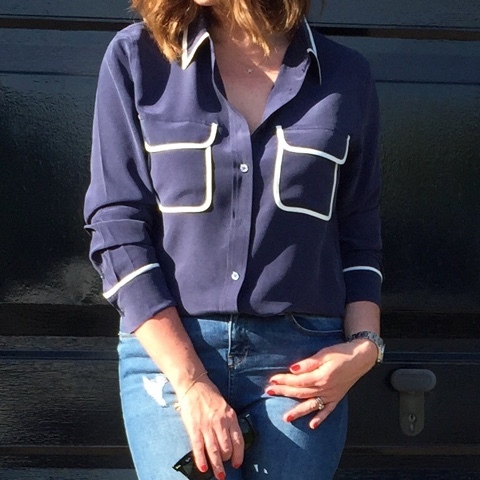 I love Very Exclusives MD Sarah Curren's own personal style, her style is very simple, chic and accessible, favouring jeans teamed with tank, silk blouse and a blazers or jacket over the top. She makes her fashion statement with oversized jewellery, bags and shoes and hence, there are many amazing shoes on Very Exclusive and more importantly in the sale. I picked a pair of shoes for my second choice. The best news is that I also got the chance to pick something for YOU! 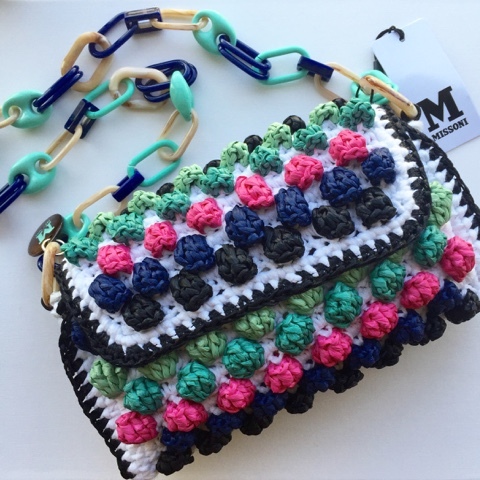 I think all of us are handbag freaks, so I picked something that will look amazing on your holidays with a pretty white dress for example, this M Missoni raffia bag below. So with Very Exclusive, FM40 is doing her first competition and you all have a chance to win this fabulous bag. Simply leave a comment here to tell me what is your favourite piece from the Very Exclusive sale? Check it out here. Midnight on Monday 15th June 2015. From random by N (my little boy) picking a name out of the hat. When will the winner get their prize? As soon as the winner emails me their details and address. Post in collaboration with Very Exclusive. No way Michelle! I just picket out that as my fave also. The Karl Lagerfelt tux jacket. Or maybe the raspberry shoulder bag. Love your blog by the way, keep up the good work!!! What an amazing competition Annmarie, my favourite piece has to the be oversized tuxedo jacket by Grace MMXIII such a wardrobe classic. Love all your picks & you can't beat a silk shirt & denim combo can you. Hi Annmarie, great competition! My top pick would be the MiH Phlox Embroidered White Top as I just love that simple, fresh and elegant look of a broderie anglaise cotton top with jeans. Perfect summer dressing! Hi, Love this, mine would be the Loeffler Randall Sandals - I bought the same pair that you've picked! They are so conphy!! Thanks for bring this website to my attention! Hi Mine would be the Karl Lagerfeld green mini cross body bag - a perfect match to my stans and just the thing to liven up navy/black/white/grey outfits , been looking for the right colour green in any accessory for ages - sad I know but it just looks so much better to me when you have at least two things in your outfit which match and the stans are so comfy I want to wear them everyday! Love the Margaux platforms... always dreamed of having a pair of De Havillands!! Adore the MiH Phlox Embroidered white top - a chic nod to Isabel Marant without the price tag! Definitely on my wish list and perfect teamed with the Missoni Raffia bag! Fingers and toes crossed! Am seriously tempted by the unreal fur gilet, despite the summers evening! A great investment. Hi Annemarie. Mine would be the Karen Millen Lace and Suede Shoe Boot. It would have to be the Equipment shirt you are wearing today - looks fab on you. Cynnie Croc-Effect Bucket Bag - Yellow, I've had my eye on it for awhile, love the summer colour pop. What a great sale. Fingers crossed now! The Terry De Havilland Margaux wedges! Oh I NEED the ASH Patti Flat Sandals - Snake Print - NEED THEM!! Thanks for this amazing competition, Annmarie! The Karl lagerfeld denim espadrilles are already on my wishlist... just perfect for summer. I've been looking for some tassel sandals and I LOVE the Loeffler Randall Sierra gladiators! I love the Reiss dresses, but if I had to choose a favourite it would be the MIH Koko Striped dress! Amazing! So much to choose from. I'd have to go with the lovely MiH Phlox top or your Equipment shirt. It looks great on you! This post has opened my eyes to a site of discounted dreams that I never knew existed - unfortunately my bank account isn't as thrilled as I am! My perfect pick would be the Equipment 'Coleen sleeveless shirt' - a perfect summer shirt to lift everything in your wardrobe, especially my countless pairs of jeans. Now this is a fab competition. I have to say I had forgotten about Very Exclusive but glad that it's been brought back to my attention. My pick is the MiH Phlox Top. I do love the MiH range this season. And that little Missoni bag - that's my kind of bag! Fingers crossed! What a brilliant competition! So many great pieces in the Very Exclusive sale but I particularly love the MIH poncho denim dress as I've been looking for a lighter denim dress. Love the Missoni bag too! I love the McQ Alexander McQueen Metallic Crush sandals, quirky enough and practical enough for a working mother. Gorgeous sale picks Annmarie. My choice would be the Reiss black panelled Bounty dress as I think it would be a fab LBD addition to have to my wardrobe. I love the Equipment piped shirt you chose, it's a classic! I also love the Carven pink skirt, such a pretty shade of pink :) Great picks and thank you for introducing us to Very Exclusive! Hi, I love your choices & so pleased to have discovered very exclusive - what a great website- my choice would be the Marcus lupfer hibiscus print scarf - it's bright, quirky & fun & would go with so many things in my wardrobe.